Description: This program is a quick introduction on the basics of radiation safety. 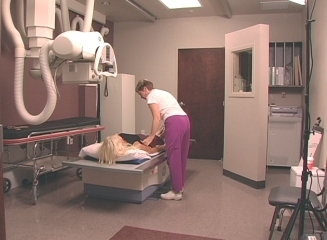 The target audience is the non-radiation worker in a healthcare environment. This is perfect for those who are unfamiliar or even nervous about working in an environment that contains radiation emitting devices. The material is presented in a quick and simple manner. Radiation as a tool of medicine, and not something to be feared. The concept of ALARA or As Low As Reasonably Achievable. The basics of Time, Distance & Shielding. Lead-lined Gloves, Aprons, & Thyroid shields. General guidelines for the non-radiation worker which include not entering the room when radiation emitting equipment is in use.